According to Google, the Accelerated Mobile Pages (AMP) Project is an open source initiative that embodies the vision that publishers can create mobile optimized content once and have it load instantly everywhere. So, if you are a WordPress user like us, you could easily learn how to enable this feature on your website for better SEO rank on Google. Here’s how your webpage would look once you have enabled this feature. What AMP does is it stripped down all the “fluff” of your pages, including the read more links you might have built into your theme etc. but kept all the important content. In return, your pages would load blazing fast and to mobile users, it was as if they were reading a news in Kindle format. However, the downside of AMP is not very favorable to bloggers who are monetizing through Ads. As of now, AdSense or any other form of ads would not show on AMP version of your webpage. 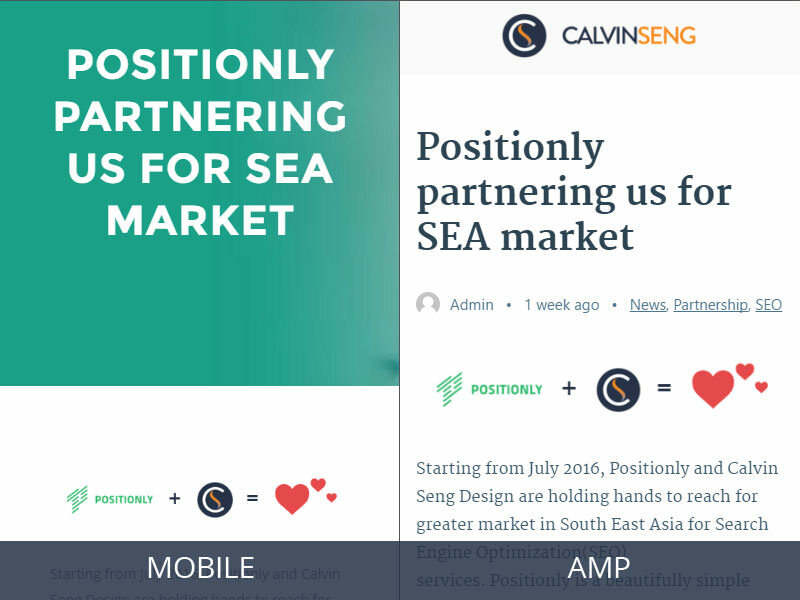 We have analyzed the mobile version and AMP version of our post we published recently and have PageSpeed Insights to back what Google claimed were true. Let’s have a look on the rendered result. 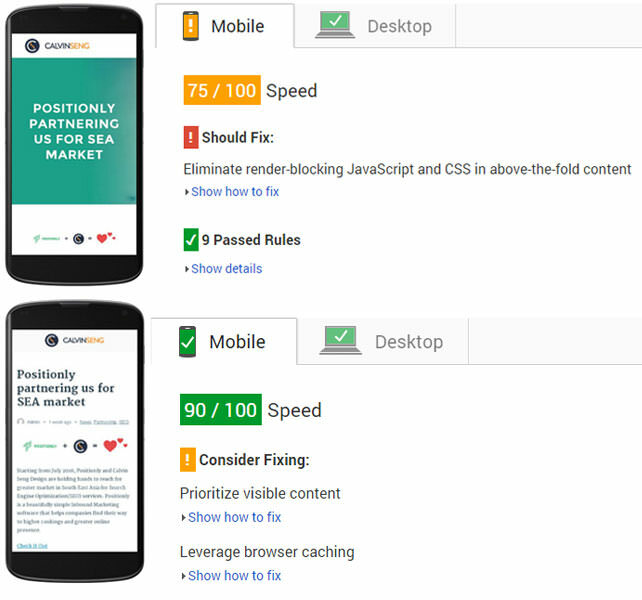 Mobile score after optimized vs AMP. Render-bocking JS has been lifted up too in AMP. After you have enabled the plugin, you could check the AMP version of your posts by adding /amp/ at the end of your URLs. By default, it doesn’t change your pages into AMP. The plugin adds a standard meta tag in the head of your normal pages that makes it possible for Google and others to recognize these pages exist. The author has documented on the methods to changing the logo, tweaking the template etc. All you need to do is copy and paste the codes mentioned on his GitHub. According to Yoast, the AMP plugin by Automattic uses a default set of metadata, which is sometimes, if you’re using Yoast SEO, not the most optimal metadata. With the plugin they have built, you could ensure all the metadatas are fetched properly by Google bot. Check out your result at Google Webmaster Tools.